I woke up one morning to a news piece on the measles outbreak at a Texas church whose preacher had the audacity to question vaccines. Apparently there is a huge out break of this devastating disease which is making so many people sick. Even a 4 month old baby got the disease!!! Now the church has retracted its view and it is holding vaccine clinics in the church to urge members to get vaccinated. Good for them. Right? So now we must get ready for the great herd immunity debate to take place. My facebook news feed is being inundated with accusations that the unvaxed children are putting the rest of the population at risk. Normally, I can take these things in stride, as this is a debate of opinion and everyone is entitled to their own opinion. That is part of what it means to have freedom of speech in this country. Today, however, I do not feel so light-hearted and easy to accept the opinions of others. Why you might ask? Because I can see the storm churning in the distance. I see the politics at play here. This isn’t about opinion anymore. This is about basic human rights. Measles is being likened to small pox as if my unvaxed child is going to cause the downfall of the world. This make me and him a menace to society. It seems people listen to these news shows and they swallow all the emotional brainwashing hook line and sinker. Reasonable people in most spheres of their lives are being convinced with the rhetoric of corporate greed. To me, your child is not worth more than mine. I refuse to willingly sacrifice my child so that your child doesn’t have to spend a couple weeks in discomfort. Number of deaths from measles prior to the vaccine: Out of the 3-4 million people per year who got measles only about 450 people died (all people, not just children). Number of deaths from proper use of Rx medications: 100,000 people die each year from properly prescribed medications. Number of children who will be diagnosed with autism this year: With current rate of Autism in this country, approximately 45,000 children born EVERY YEAR will be diagnosed with Autism. Approximately 662,500 children will be diagnosed with a learning delay EVERY YEAR. These numbers do not take into account the rise in the rates of Autism each year, so these numbers are actually conservative. Society has a lot of serious issue to worry about, but measles is not one if them. So you still expect t me to vaccinate my child to save yours? I say the vaccine doesn’t protect any child from the measles. I say that if you vaccinate your child, you are putting the rest of society at risk for much worse diseases, and you are causing a strain on the economy because of the increased medical care your unhealthy child will require. I am sure many people will be offended by my stance on the vaccine issue, and by the fact that I have the audacity to blame the parents of vaccinated children for destroying herd immunity, causing the spread of disease, and harming the US economy. Avoiding Autism: What to do when you’re pregnant. We need to know how to help our autistic children. Just as important is to avoid it in the first place. Our future depends on our children and we cannot survive if we continue to allow our children to be so severely affected. It’s a loaded topic. Filled with politics on all sides. I hear the debate. Over diagnosis, vaccines, environment, viruses, Lyme, strep, antibiotics, heavy metals or of course my favorite, evolution. The theories are never-ending. The more potential for profit, the more skewed the results of the research. Our children are being lost in the debate. The longer this discussion lasts, the more time we take to debate the issue, the more children fade. Time is of the essence here and we as parents are the first defense our children have against this debilitating event. We alone are the only wall to shield the next generation from imminent disaster. We are alone to sort out the best thing to do. We are confused. Frankly, nobody knows what causes autism. Genetics: meaning there isn’t much we can do about it right? Our kids are just born this way, or is something affecting the genes? If so what? Over diagnosis: You won’t see many parents of autistic children accepting this one. Politics might sell it to people who do not know Autism, but the rest of us aren’t buying what they are selling. Vaccines: Probably a contributor, but if it alone were the cause then we would not have unvaccinated Autistic biomed responders ( like my son). Environment: while our environment is terribly toxic there are certainly times in our history when the environment was easily as toxic (especially around the middle of the industrial age). There are more, but I will skip to the point since I am not likely to name them all anyway. I see desperate parents regularly asking how to avoid autism? 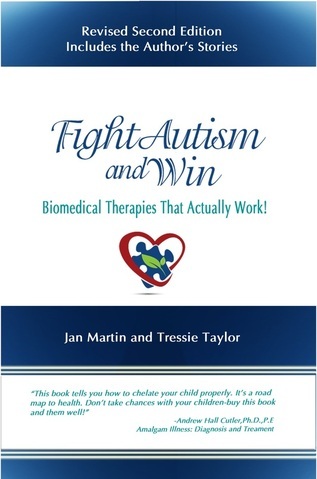 Autism is iatrogenic. Meaning: caused by doctors. Not as individuals necessarily, but certainly as part of the larger system. I am sure people are tired of hearing rantings over big pharma or discussions on the latest trend of diagnosing people with their symptoms (like my cousin, who took her dd to the doctor after she fainted for no clear reason, only to leave the office with a diagnosis of syncope…?). I could likely write 20 blog entries complaining about our medical system, lol, but you all know me. I am too much of a fixer to waste that much time on complaining (I reserve most of my ranting for my lovely family). If your pregnant or thinking of getting pregnant I have a few tips I would recommend. Do not mess with detoxification unless you have about 18 months afterward. Take a decent multi-vitamin to make up for what is lacking in our food. Above all stay away from Doctors unless it is absolutely necessary. DO NOT Vaccinate! DO NOT take Rx Meds! Doctors treat disease they do not bestow health. Do not use medication that is my motto. Doctors can run tests, check your health, and clue you in to a possible disease process. They are however, most beneficial when you are well-informed and do your homework. and if you find a doctor who is annoyed by your desire to be part of the process, RUN!!! We use vitamins and herbs at the first sign of illness and we seldom need to go to the doc. I think the old adage, “An apple a day to keep the doctor away,” was right in one regard. Keeping the doctor away is of utmost benefit to your health! Until three years ago and the Swine/H1N1 Summer Panic in 2009, for over ten years U.S. Government Health officials had designated the first week of December as National Flu Shot Week. The data for Summer 2009 shows blood tests for flu were performed by the millions as compared to “normal” years when such tests were not performed at all until late Fall. Never mind that an edict dictated virtually all blood results to be arbitrarily declared to be H1N1 and all the other flu variants shoved into the H1N1 category. Never mind that all flu variants have always been omnipresent all year long, just not tested for until late Fall. Never mind countries such as Canada, where parents are more skeptical about the shots, pediatric flu- associated mortality is but a small fraction per-capita that of the U.S. Never mind CDC officials declared there was no risk whatsoever from the multiple batch shot lots preserved with mercury and urged on an unwitting American public. Never mind that every year since 2003 when flu shots were sometimes put on fast-track promotion as early as September that U.S. pediatric flu-associated deaths those years also spiked. Never mind (see my post in Age of Autism, June 2, 2010) that U.S. protocols for treating kids hospitalized for flu to be dosed with the chemotherapy antiviral drug Ribavirin, a drug that ALWAYS destroys red blood cells thus causing hemolytic anemia – never mind no other country in the world is insane enough to employ this protocol. Never mind the great Flu Shot Shortage in the Winter of 2004-2005, when British factories supplying U.S. flu shots were shut down, and this coincided with the lowest pediatric flu-associated deaths on record, until this last 2011-2012 season when data shows U.S. parents largely avoided flu shots for their children after realizing how dangerous the shots were, and are, especially when they realized CDC says TWO flu shots be given to infants at 6 and 7 months respectively, each one loaded with mercury unless a non-mercury shot be explicitly demanded. 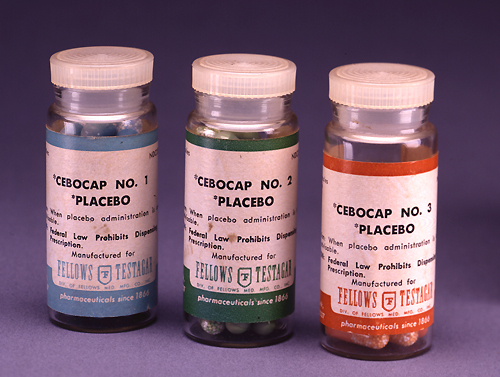 Never mind that all the other vaccine ingredients, called excipients, are all toxic to humans, magnified as least 10-fold in vulnerable undeveloped infants who are but one-twentieth the weight of adults but get shots of 25 milliliters compared to an adult dose of 50 milliliters and who have mature, hardened systems compared to newborn 6-month olds. Never mind that vaccine batches may have unknown contaminants, or may be improperly stored, or that Australia two years ago in Spring, 2010, a national emergency abruptly stopped all flu shots for kids when massive numbers of convulsing children were rushed to hospitals after getting their flu shots. Never mind the bought-off U.S. mainstream media suppressed the Australian episode, keeping ignorant the American public, never mind this was kept mum by “just get your damn flu shot” Dr. Nancy Snyderman. Never mind that well nourished mothers breast feeding their babies supply all the necessary protection against such as flu, never mind that the vast majority of American babies taken to hospitals with flu had serious chronic health pre-conditions and/or were significantly premature. Never mind that any serious health condition in U.S. babies is declared by CDC as always a mere coincidence having nothing to do with massive amounts of recently injected toxic vaccine ingredients as from the flu vaccine. Which brings me back to the present: Here in late July, 2012, my local Rite Aid drugstore in Alexandria, Virginia has plastered its interior aisles with countless flu-shot promotion posters to go along with gigantic outdoor posters. Whatever happened to the December National Flu Shot promotion week? Autism spectrum disorders (ASD) are neurodevelopmental disorders characterized by impaired social interaction and communication, as well as isolated interests and repetitive or stereotyped behaviors . ASDs pose a significant burden to affected individuals, their families and society. This burden comes both from the debilitating and lifelong nature of ASDs and from their prevalence. It is now estimated that about one out of every 166 children is affected with ASD . Most cases are idiopathic, although there are many uncommon or rare genetic and metabolic causes of autism that are increasingly recognized –. In 1998, Lombard postulated mitochondrial dysfunction as a cause of autism . 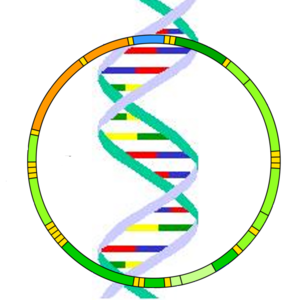 Prior and subsequent case reports provided biochemical data indicating perturbation of mitochondrial energy metabolism in some individuals with ASD –, including mtDNA mutations in several , , . Recently, Oliveira and colleagues published a population-based survey of school-age children with ASD. They found that 7% of those who were fully tested met criteria for definite mitochondrial respiratory chain disorders and were also clinically indistinguishable from other children with ASD . This work is notable because it suggests that mitochondrial disorders of energy production may be present in a substantial percentage of children with ASD. To better describe the clinical spectrum of children with ‘mitochondrial autism’, we undertook a chart review of the biochemical, genetic, and histopathological findings in 25 patients with ASD who had unequivocal evidence of a disorder of oxidative phosphorylation. via PLoS ONE: Mitochondrial Disease in Autism Spectrum Disorder Patients: A Cohort Analysis. Reported rates of autism have increased sharply in the United States and the United Kingdom. One possible factor underlying these increases is increased exposure to mercury through thimerosal-containing vaccines, but vaccine exposures need to be evaluated in the context of cumulative exposures during gestation and early infancy. Differential rates of postnatal mercury elimination may explain why similar gestational and infant exposures produce variable neurological effects. First baby haircut samples were obtained from 94 children diagnosed with autism using Diagnostic and Statistical Manual of Mental Disorders, 4th edition (DSM IV) criteria and 45 age- and gender-matched controls. Information on diet, dental amalgam fillings, vaccine history, Rho D immunoglobulin administration, and autism symptom severity was collected through a maternal survey questionnaire and clinical observation. Hair mercury levels in the autistic group were 0.47 ppm versus 3.63 ppm in controls, a significant difference. The mothers in the autistic group had significantly higher levels of mercury exposure through Rho D immunoglobulin injections and amalgam fillings than control mothers. Within the autistic group, hair mercury levels varied significantly across mildly, moderately, and severely autistic children, with mean group levels of 0.79, 0.46, and 0.21 ppm, respectively. Hair mercury levels among controls were significantly correlated with the number of the mothers’ amalgam fillings and their fish consumption as well as exposure to mercury through childhood vaccines, correlations that were absent in the autistic group. Hair excretion patterns among autistic infants were significantly reduced relative to control. These data cast doubt on the efficacy of traditional hair analysis as a measure of total mercury exposure in a subset of the population.In light of the biological plausibility of mercury’s role in neurodevelopmental disorders, the present study provides further insight into one possible mechanism by which early mercury exposures could increase the risk of autism. via Reduced levels of mercury in first bab… [Int J Toxicol. 2003 Jul-Aug] – PubMed – NCBI. This is an amazing vaccine awareness video from Rebecca F. of Regarding Caroline. Share it with anyone out there you know is interested in the vaccine debate. After you watch the video go to The Chalkboard Campaign for one of the best most credible presentations of vaccine awareness information I have ever come across. She has compiled a wonderful bunch of research and coupled it with a beautiful presentation. 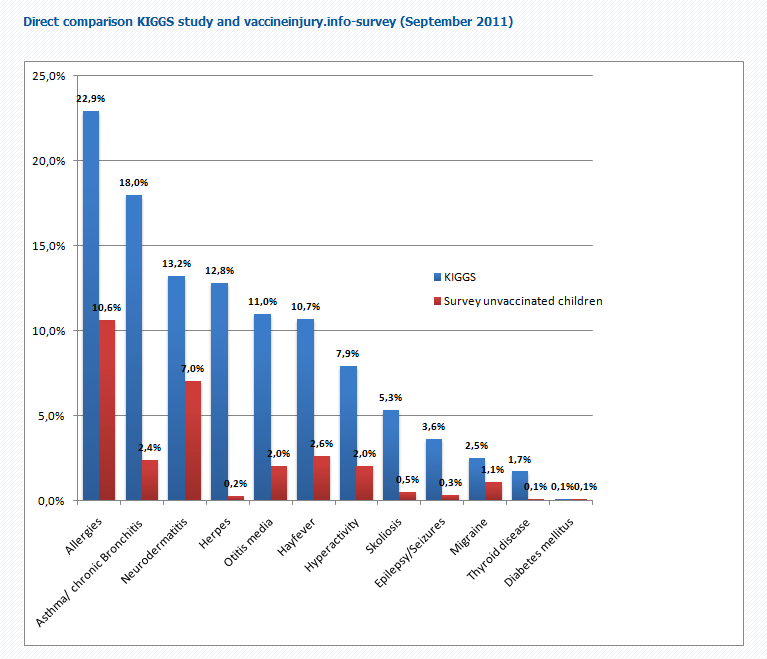 2011 Study: Disease comparison between vaccinated and unvaccinated children. The chart below illustrates the results of a 2011 German study comparing the disease prevalence between 8000 vaccinated and unvaccinated children. It is a pretty shocking visual. Follow the link below to participate in an ongoing study comparing the disease prevalence in vaccinated vs vaccination children.